Web Application Development means Design and Development of highly usable Web Apps like Enterprise and E-Commerce Portals, Business Apps, Technology Consulting and Utility Apps, Rich Internet Apps, etc. Web Application Development mechanism is basically a multiple level procedure containing Developing, Programming, Checking, and Deployment of Processes. It Increases Sales and Conversions because the products and services offered by a company can be accessed or bought from anywhere, anytime on the go. They are very Interactive and through good Social Media Integration they increase Customer Engagement which in Turn Leads to Customer Loyalty. It Promotes Brand Awareness through word-of-mouth publicity. It helps in Client Retention, because customers will certainly stick to a Brand that not only serves them well but also provides those services in an innovative and accessible manner. It helps an enterprise to inform and update consumers about any new product or service that they are launching in a very Interactive Manner those interests and intrigues consumers. Address aspects of business processes specific to your Business and IT Needs. Provide Custom Solutions to the business areas and functionality gaps that are not addressed by selected packages. Application Replacement – to new technologies. Technology Competency in a wide variety of technologies. 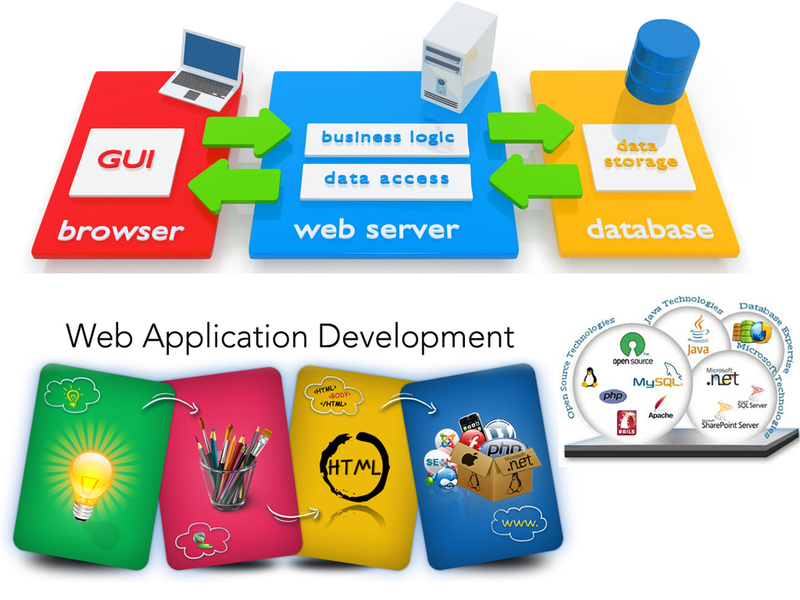 Web Apps can be Designed and Developed using Open Source Software and thus they are very affordable and cost effective. They provide very high Return On Investment (ROI) and upon proper Marketing and Promotion they provide instantaneous benefits. They not only provide utility to customers, but also immense value for money to enterprises, which is a win-win situation for both. Many businesses across the globe are opting for their very own Web Apps and this industry is blooming at a very fast pace. Secure Web Application Development provides Dedicated and Professional Developers, Consultants, Analysts, and Experts for Developing Strong and Secure Solutions through various Secure Coding Technologies. Secure Web Application also supports Secure Host, Network, and configuration of a variety of Web Application Development processes and continuously maintains the Security at every level of the Web Application Development processes. We at K3 Web Creation discuss your requirements, understand your objectives, make recommendations and arrive at a consensus followed by project outlining and cost agreement. We follow close collaboration with each client to customize each app to suit his needs and incorporate features that make upgrades if required in future. We at K3 Web Creation one of the Secure Web Application Development Provider in Mumbai, India- Develop, Test and Deploy, followed by full Service Support package through out the product lifecycle.